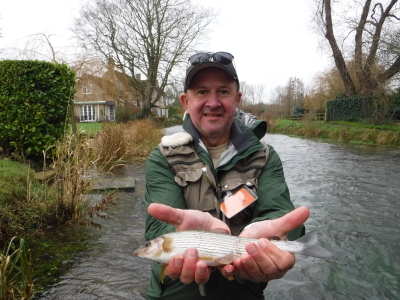 Andy Grey Fly Fishing offers fly fishing lessons and guided days fly fishing for trout, grayling, pike and carp in the Cotswold and southern regions of the UK. 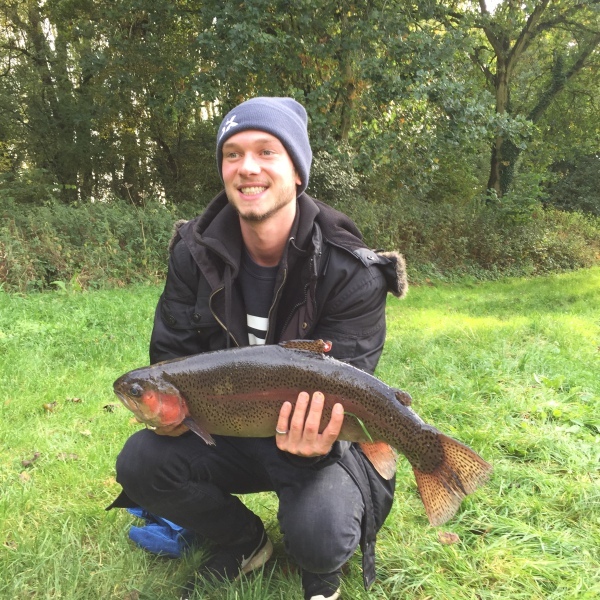 If you want an introduction to the wonderful world of fly fishing, a guided day on a new water or assistance with advanced casting techniques, we can help. 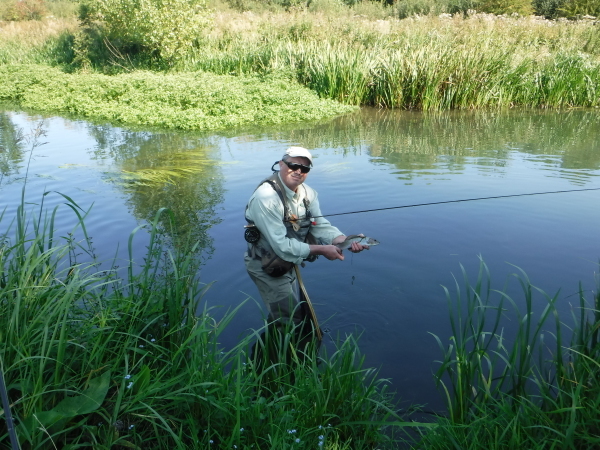 Based in the Cotswolds, we have access to the best rivers, streams and lakes in this beautiful part of the world including some exclusive stretches of the river Coln which is considerd to be the best trout and grayling river in the Cotswolds. Being about 90 mins drive from London and with excellent road and rail links makes the Cotswolds is an ideal fishing location. We offer a complete service for your fishing trip, from advising on the best places to fish to recommendations on local accommodation and services, through to a pick-up and drop-off at your hotel or nearest railway station. All fishing equipment, flies and waders etc. are provided. 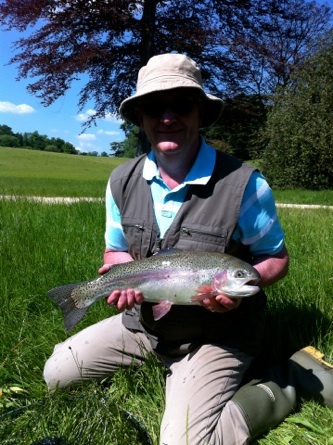 We can also advise and arrange river and stillwater bookings for the travelling angler. Contact us to book a days fishing. 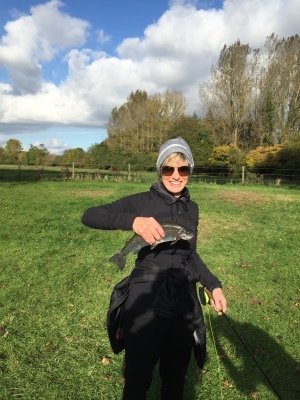 Guided fly fishing days and lessons for trout and grayling on lakes and rivers for individuals and groups with fully qualified instructors. Contact us for more details. Instruction for people of all abilities and experience - From complete novices to experienced anglers looking for a guided day. For anglers wishing to learn more advanced fishing methods we can provide expert instruction in specialist techniques such as Czech and French nymphing, New Zealand style fishing and short-leader nymphing plus traditional methods such as dry-fly fishing. Watercraft (learning how to read a water) and entomology (the identification of insects important to the fly angler) are all covered in your day on the water. Full follow-up service to all days including advice on tackle purchase and fishing venues. 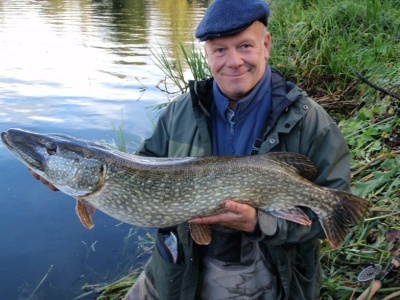 We provide fully serviced fishing trips for trout and grayling plus guided days for pike , carp and other coarse fish. You can fish for still-water trout all year round. 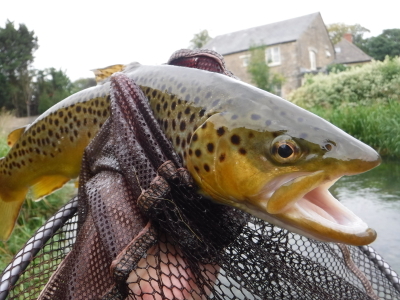 The river trout season runs from 1st April to 31 September. 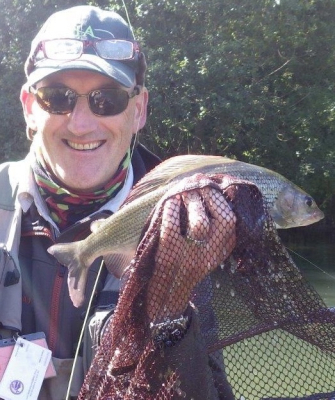 Whilst the grayling fishing season opens on the 16th June, it really comes into its own around the end of the trout season in September, although it is still possible to catch these beautiful fish all through their open season. We offer tuition and guided days on both still-waters (lakes and reservoirs) and rivers. 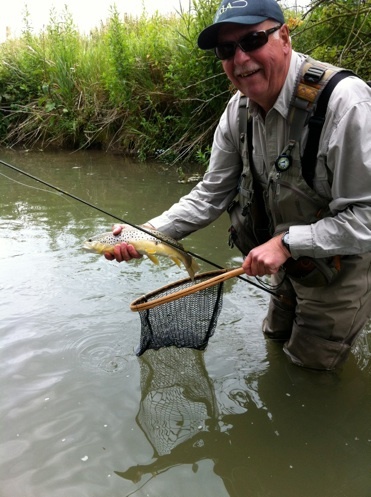 Still-water fishing is generally for stocked fish whilst river fishing is for wild trout and grayling. We have access to a wide variety of waters from the limestone streams of the Cotswolds to the prestigious chalk streams of Hampshire plus a variety of picturesque still waters. See some of our fishing venues here. 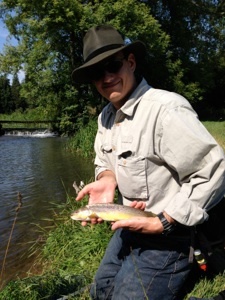 A full range of single handed fly-casting instruction from fully qualified instructors. 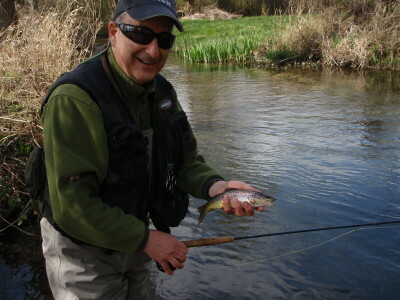 A session with a casting instructor will help fly anglers of all abilities iron out casting faults and teach new skills to enable you to get your fly to where the fish are. Learning how to double-haul for extra distance or technical river cast such as jump rolls, Speys and presentation casts will enable you to fish more efficiently. If your heading off abroard on a fishing trip then a few hours instructon to brush-up on your quick-shot saltwater casts and accuracy will help you to get the most out of your trip. Guidance and tactics on saltwater fishing can also be included. 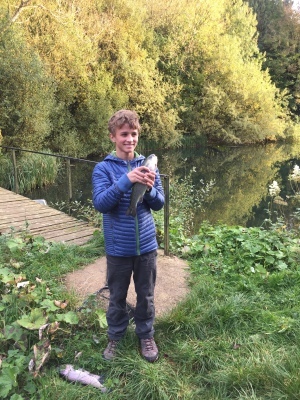 We can provide casting lessons as part of the days guiding or as a stand-alone sessions. What do you need to bring for your days fishing? All the equipment that you need for your day is supplied, including top-quality fishing tackle, flies and waders etc. We reccomend that you wear suitable outdoor clothing and footwear. You will need have a valid Environmental Agency Rod License to fish any water in England and Wales. These can be bought for daily, weekly or annual periods from any Post Office or by clicking the link below. Plesae visit the FAQ's page HERE for more information on your day.